Not a lot to report from the garage this week. I spent some time in Georgia with family and the craziness of traveling with two little ones did not lend itself to much work getting done in the garage in between. In fact, I’m not sure I touched the car or the engine since my last update. 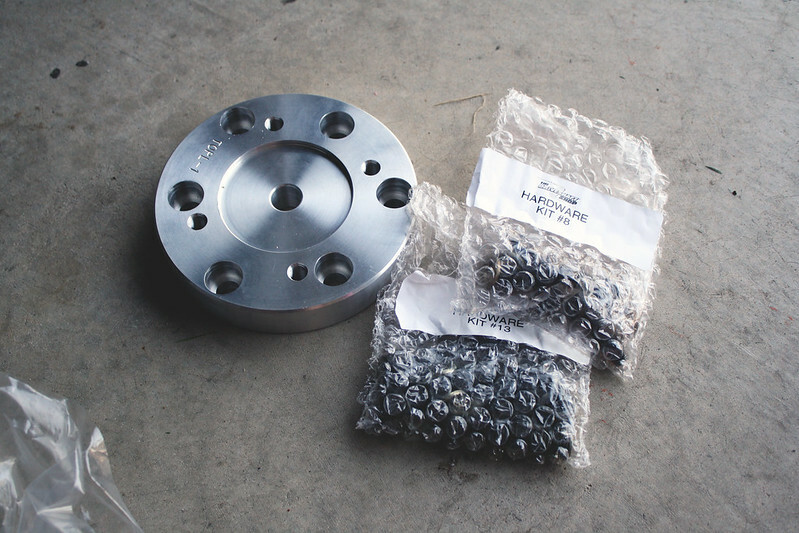 While I may not have accomplished much this week, I did have some parts arrive for the build. 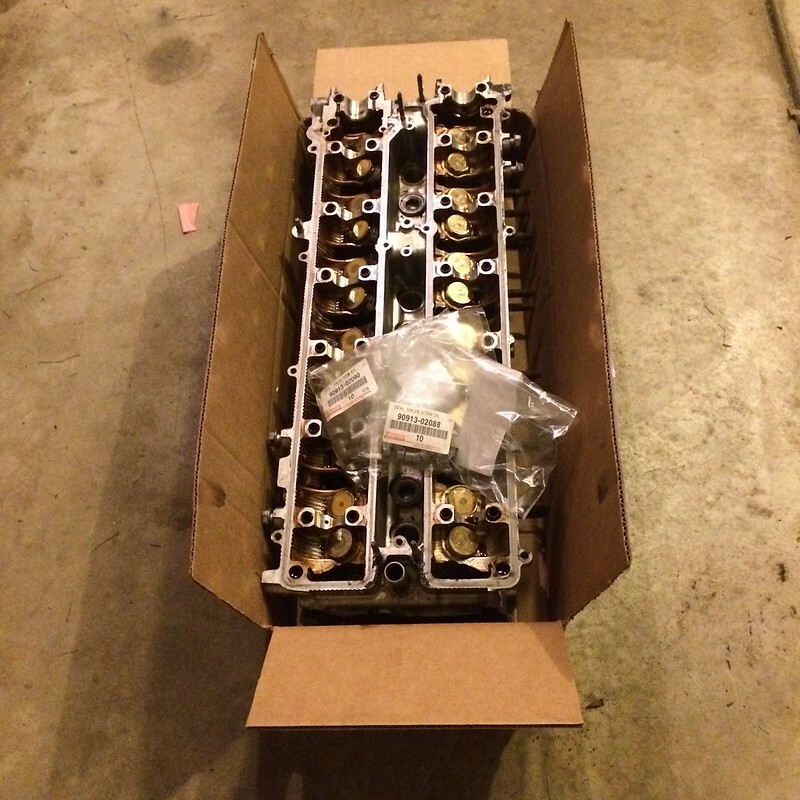 The first was a small order from Curt at Elmhurst Toyota. I really can’t say enough about their customer service. I emailed Curt some part numbers and he responded within ten minutes to say everything was in stock. The parts showed up at my door the next day- pretty impressive. I had originally purchased only the gaskets I planned to replace in my mild overhaul, but after tearing the engine down more than I anticipated there were more items I needed. 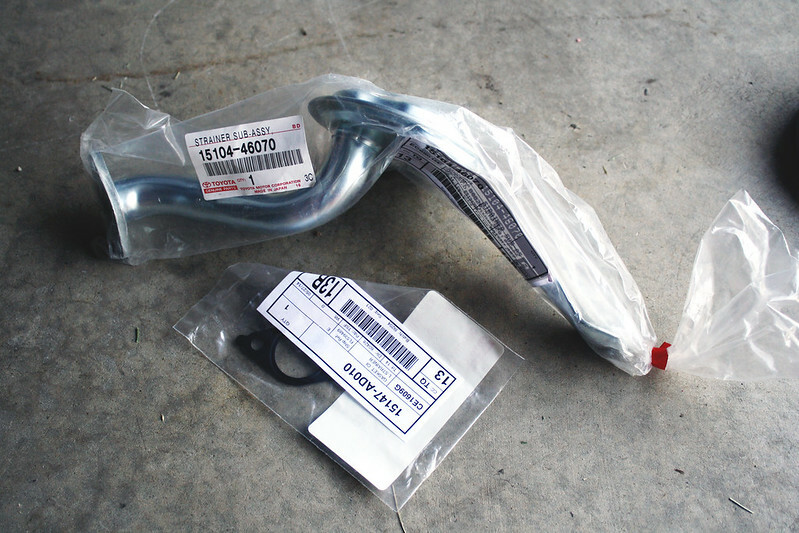 I’ve essentially bought the entire engine gasket kit at this point, but oh well. 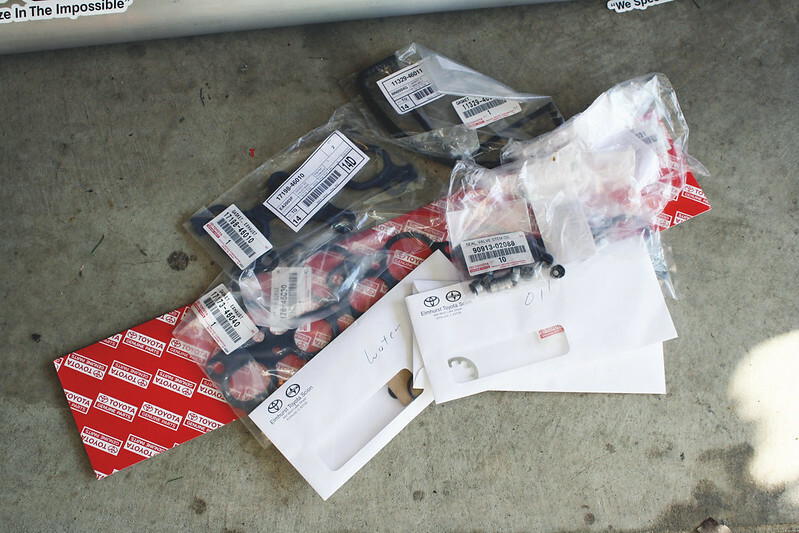 This order consisted of exhaust and intake manifold gaskets, a few miscellaneous oil and water related gaskets, and valve stem seals. I also decided to replace the oil strainer and gasket. It was common for SR20 engines to suffer oil starvation from the pickup failing, so I replaced it on that build and figured it was a good idea to replace this one as well despite the fact that I haven’t necessarily heard this is an issue with the 2JZGTE. 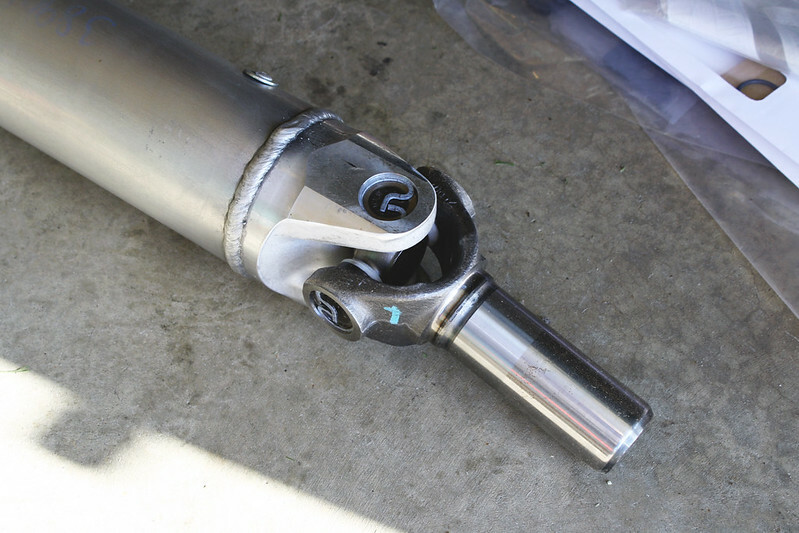 The last major piece to the drivetrain puzzle was the driveshaft. 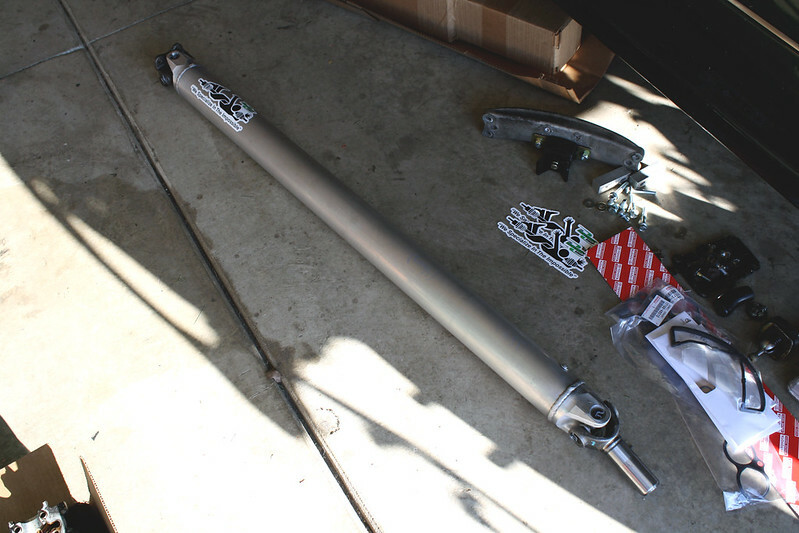 I decided to have The DriveShaft Shop build me a custom 3.5″ aluminum driveshaft to mate the GS400’s rear differential with the R154 manual transmission. They told me the lead time was four weeks on this piece, so I was pretty surprised when they sent me tracking information only four or five days after I placed the order. I’ve got another busy weekend ahead, but my hope is that I will find the time to remove the oil pans to inspect the main bearings. 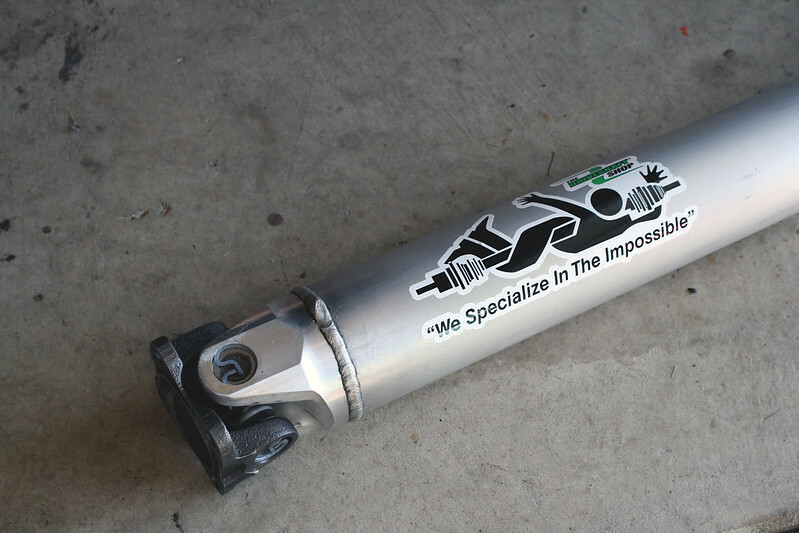 If things are looking good, I can begin to reassemble the engine. Fingers crossed! Thanks as always for keeping up with the build.